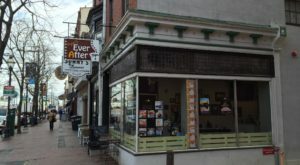 Sleep under the stars or on a sandy beach while taking advantage of all nature in Pennsylvania has to offer. 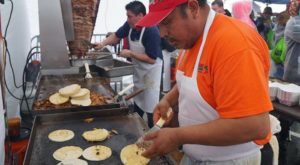 Summer sets the perfect stage for a rustic camping experience at one of the countless campgrounds and state parks stretched across the state. 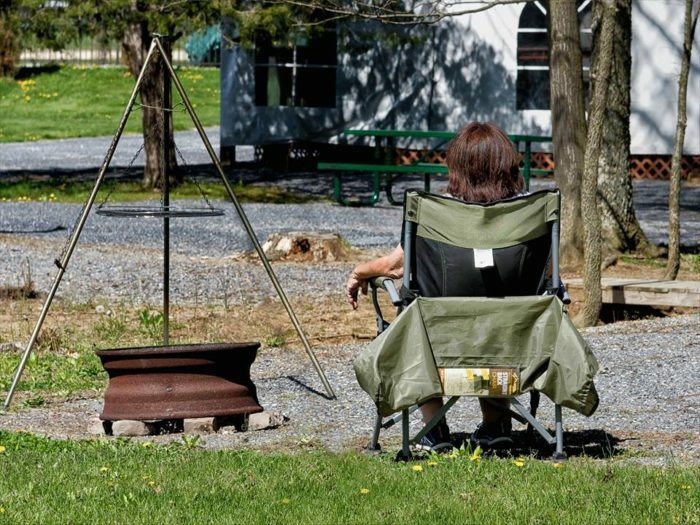 Here are 10 rustic camping spots in Pennsylvania. 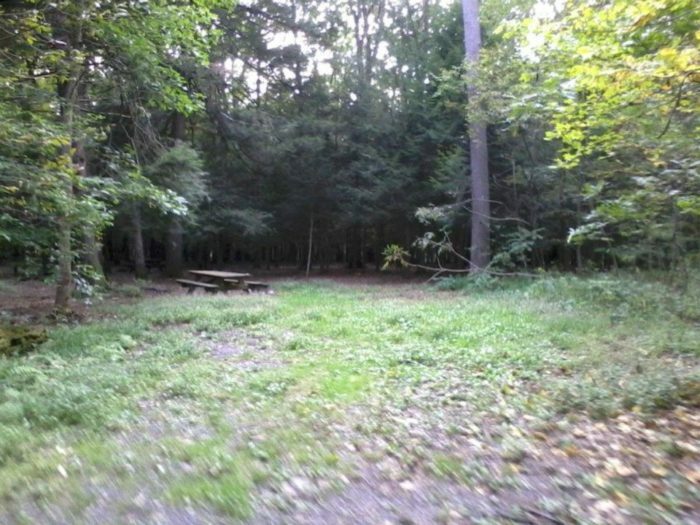 Escape to Dingman's Campground in Dingman's Ferry. Pitch a tend at a secluded forest spot or along the river for the ultimate rustic camping experience. Or, park your RV and enjoy all the comforts of home with water and electric hookups. Purchase necessities at the campground store and engage in such campground activities as horseshoes and beach volleyball. 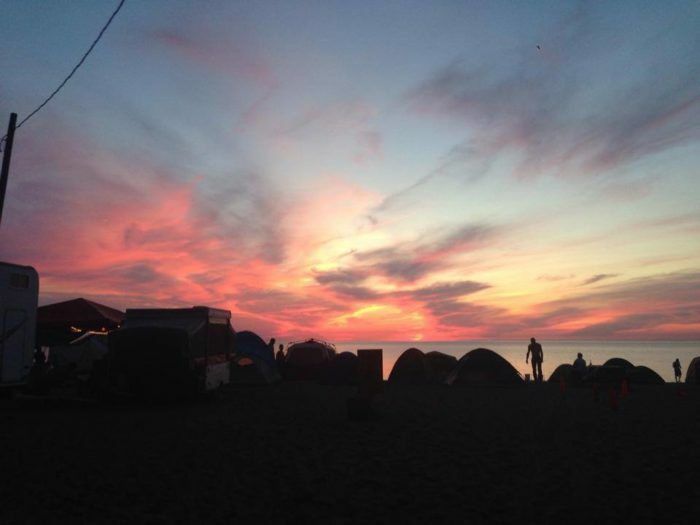 Set up your tent right on the beach in Erie, where you'll be treated to awe-inspiring sunrises and sunsets. 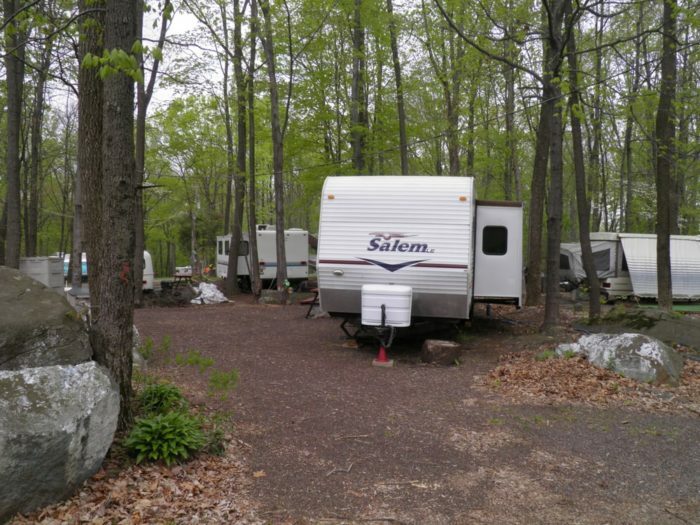 Boasting both tent and RV sites, Sara's Campground features a full menu of amenities, including restrooms, showers, fire rings, picnic tables, and a general store. Monthly activities, such as Movie on the Beach, are also offered. Park your RV or pitch a tent at the family and pet-friendly Little Red Barn Campground. 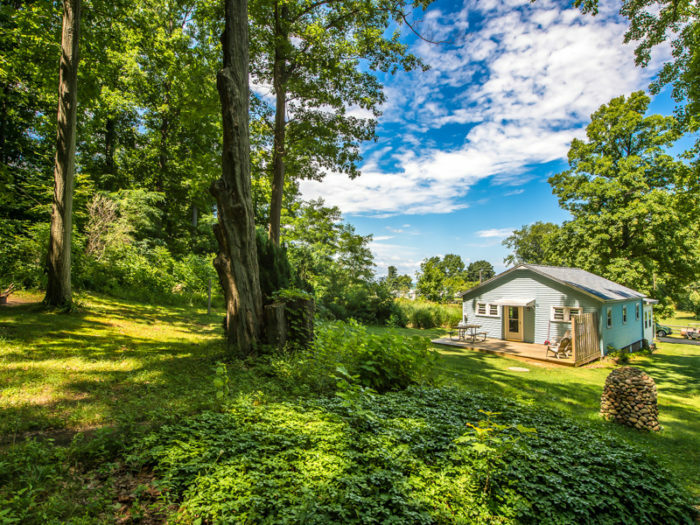 Spend your nights camping in the rustic outdoors while willing away the days shooting hoops, lounging in the pool, inside in the game room, or playing volleyball. 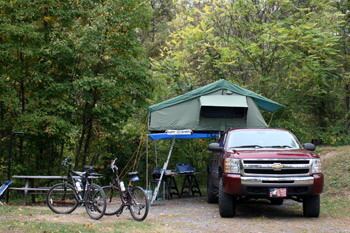 Little Red Barn Campground also features modern bathrooms and laundry facilities. 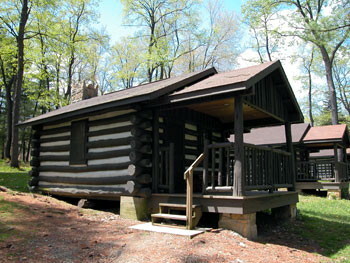 Reserve a modern or a rustic cabin (or park your RV) at breathtaking Black Moshannon State Park. Each rustic cabin offers minimal amenities, including a wood burning stove, a refrigerator, bunk beds, and electric lights. Fall asleep in your rustic cabin after a day of hiking, swimming, horseback riding, or boating at Black Moshannon State Park. Discover nature's beauty at Little Buffalo State Park, which features tent and RV camping sites, modern cabins, and rustic camping cottages. Little Buffalo State Park boasts a full range of activities, including a shimmering swimming pool, hiking trails, and boating. 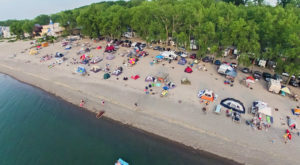 Drink in the spellbinding views of Lake Erie from your tent, RV, or cottage at Virginia's Beach Campground. Swim in the lake. Picnic on the shore. Or, take part in a plethora of activities, including kayaking, canoeing, boating, jet skiing, and fishing. The campground also hosts arts and crafts for children. Experience camping at its most rustic by pitching a tent. 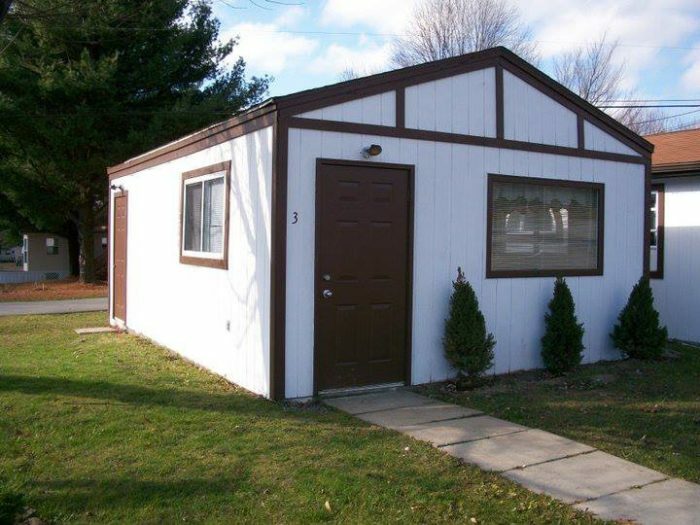 Park your RV or rent one of the cozy cabins or cottages at Gettysburg Campground. 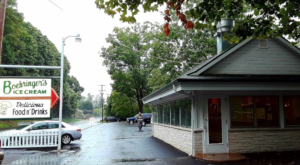 The charming campground boasts a full menu of amenities, such as a swimming pool, a miniature golf course, a game room, a snack bar, a gift shop, a playground, and hayrides. 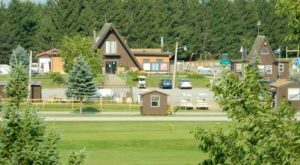 Mountain Pines Campground offers a variety of camping options - spots to pitch your tent, RV parking, primitive cabins, rustic cabins, and a lodge. 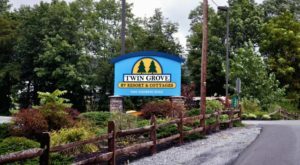 The enchanting campground, which features themed weekends, is within easy driving distance of numerous attractions, including Idlewild Park, Laurel Caverns, and Living Treasures Wild Animal Park. 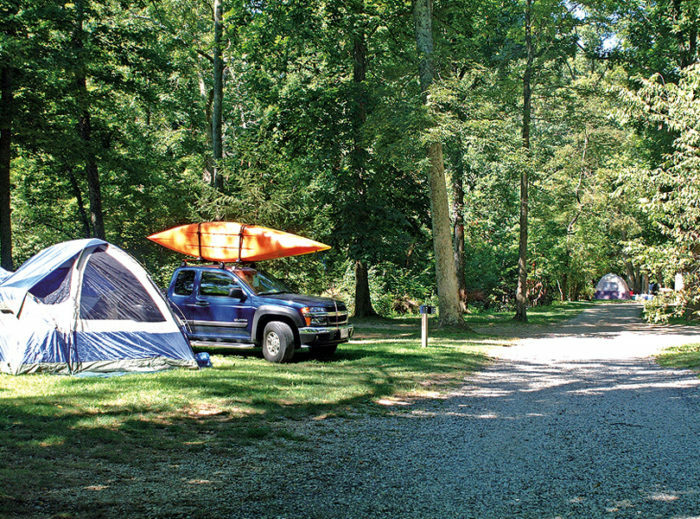 Make every moment of your camping adventure count at the amenity-filled Dogwood Acres Campground, where you can sleep in a tent, a pop-up camper, or an RV. Or, rent a cozy cabin. Spend your days in the swimming pool, at the massive playground, playing Frisbee golf, hiking, or exploring the water on a rented paddle boat. 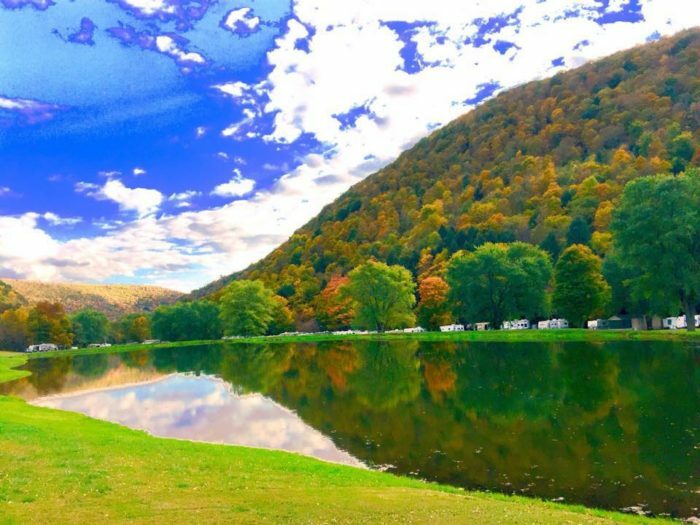 Discover Pennsylvania's sheer beauty at Stony Fork Creek Campground. Park your RV along the creek. Pitch a tent or rent a cabin. Explore nature during the day or go fishing on the lake, visit the arcade, hike the nearby trails, lounge in the pool, or shoot hoops. 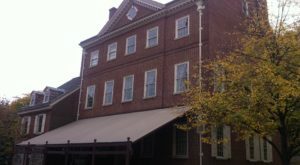 Have you ever stayed at one of the 10 best camping spots in Pennsylvania? 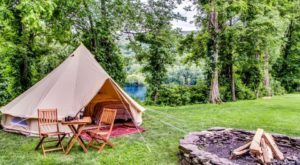 If you prefer something a little less rustic, you might want to consider glamping at Lake Raystown Resort.